If you have recently bought property in San Carlos, you most likely used a local offer form called the PRDS Real Estate Purchase Contract. Of course, there are several different forms of possible contracts, but the PRDS is used the vast majority of times in San Carlos. As with most form contracts, there are pitfalls. 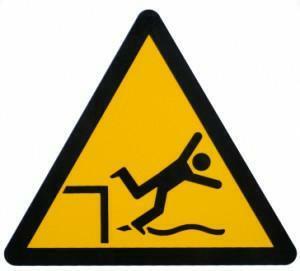 Knowing those pitfalls ahead of time can put you in a far better position in terms of protecting yourself. As part of our continuing series of contract pitfalls, today we are going to look at some of the possible technical issues surrounding contingencies. Most offers to purchase property in San Carlos contain two standard contingencies. The first contingency will state that, although the buyer has been pre-approved, the buyer will now need to forward a copy of the fully executed purchase contract onto the bank for final approval. In order to safeguard their deposit that came along with the offer, buyers will ask for a certain amount of days (usually 7-17) as a contingency period for the bank to give them their final approval. The second contingency that we commonly see concerns the property condition. Generally, buyers ask for a contingency period (usually 5-14 days) to allow themselves an opportunity to bring in their own inspector (usually a property and termite inspector, although roof, chimney and foundation inspections are common as well). Election of these two contingencies can be found in Sections 20(a) & (c) of the PRDS form contract. Other, less frequent contingencies that buyers sometimes elect are: a sale of the buyer’s current home contingency, a lead inspection contingency and contingencies centered on a tax exchange. Most errors that some buyers and sellers make with contingencies center around their continued existence and their removal. For instance, in the PRDS contract, the contingencies are described as active, meaning that until they are removed or the contract canceled, the property remains pending, regardless of the time expiration on the particular contingency. Some sellers believe that if a buyer does not affirmatively act one way or another upon the expiration of the a contingency period, the contract can be canceled. They are partly correct. As with many form contracts, ambiguity is present in certain sections. The seller can cancel the contract, but the PRDS form contract is silent as to whether this is a unilateral right of the seller. This being true, the remaining provisions of the PRDS contract state that cancellation of the contract can only be accomplished by a written instrument, stating the cancellation, signed by both parties. So in essence, the seller is not free to sell the property to another buyer until the contract cancellation is in writing from both parties, not just the mere expiration of the contingency period. Please watch the San Carlos Blog for more on the Real Estate Contract Pitfall series. Thanks for your post. PRDS is the name of the company that provides many of our local, peninsula real estate forms. http://prdsforms.com is a site many realtors use for these forms. CAR forms is another. The PRDS and CAR forms differ in language and each has its own strengths and weaknesses. If you had a specific question on the form, please feel free to email me.